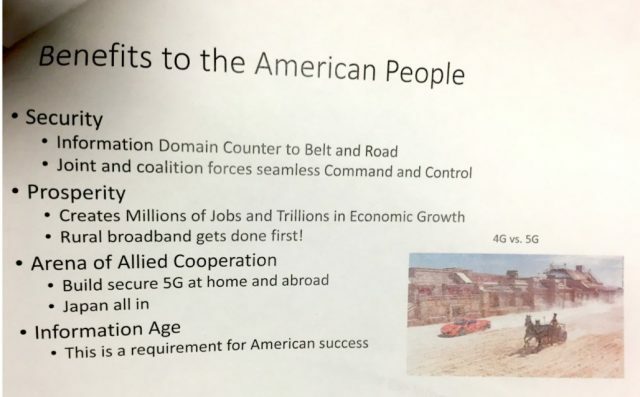 Earlier this week, a White House PowerPoint memo on implementing a nation-wide 5G network was leaked. However, not everyone is onboard this plan of the Trump Administration. Naturally, all the major wireless carriers have mixed opinion about this, as they have spent billions of dollars buying spectrum to launch 5G networks after all. And now, the head of the Federal Communications Commission, Ajit Pai has voiced his opposition to the proposal as well. In case you’re out of the loop here, the leaked memo proposes rolling out a government-controlled 5G system in three years. The concept is aimed at addressing China’s threat to U.S. cybersecurity and economic security. Although this is just an “early draft” and isn’t something that’s coming directly from Trump himself, there’s not much clarity on this just yet. But that isn’t stopping Pai or other FCC members from opposing. Pai’s statement is somewhat similar to his move to repeal Net Neutrality. He appears to favor the open market than anything that’s run or controlled by the Government. And in addition to Pai, the other four FCC chairs have also released statements opposing the proposal for a government-run 5G network.